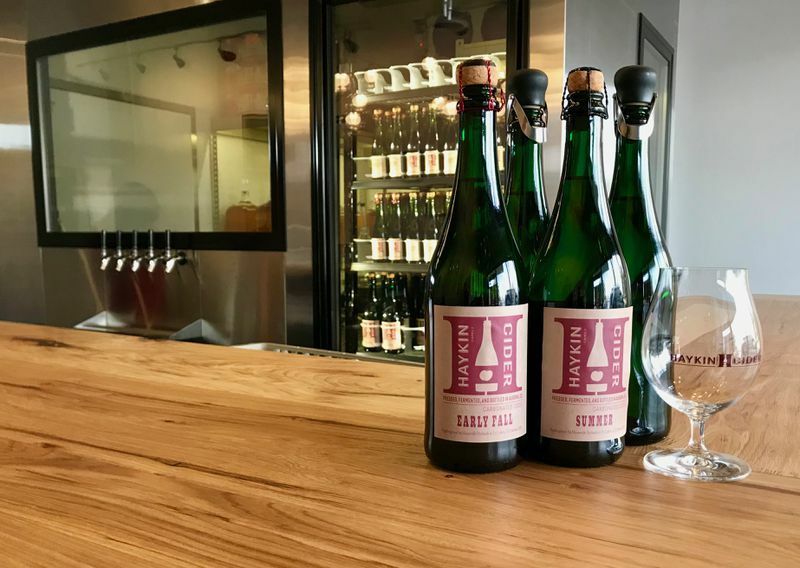 Cider fans have a new drinking destination in Aurora starting Thursday when Haykin Family Cider opens its tasting room at 12001 East 33rd Avenue. Owners Talia and Dan Haykin are starting small with a 15-seat bar and on-site production facility. For their cider, they begin with apples from growers such as Masonville Orchards in Fort Collins and Ela Family Farms in Hotchkiss. And they press, ferment, and bottle on-site in a process that closely resembles sparkling wine production. “Once we started to treat it like making wine, that’s when the product started getting good,” says Dan Haykin of first buying a fruit press, meeting local growers, and learning about different apple varietals. The ciders at Haykin are made in small batches and often with just one type of apple each. Drinkers can try the Masonville Orchards Fuji which has a “cotton candy-like sweetness with a clean finish,” or the Ela Family Farms Ashmead’s Kernel, an old English varietal that drinks bold, complex, and astringent. The balanced Esopus Spitzenberg is an American heirloom apple and one of Thomas Jefferson’s favorites, according to Dan. It makes a cider that’s spicy and rich with hints of melon. “There’s a world of apples out there, but we kind of started with what’s in our backyard,” he adds. A handful of ciders are available on-tap in the tasting room in glasses and flights, while more than a dozen are sold on-site in two sizes of corked and caged bottles. Around town the Haykins also sell a small selection of bottles at The Proper Pour, Pearl Wine Company, and Joy Wine & Spirits. They hope this new Aurora tasting room, a few miles from Stanley Marketplace and the Eastbridge development, will become a destination for the full cider lineup. 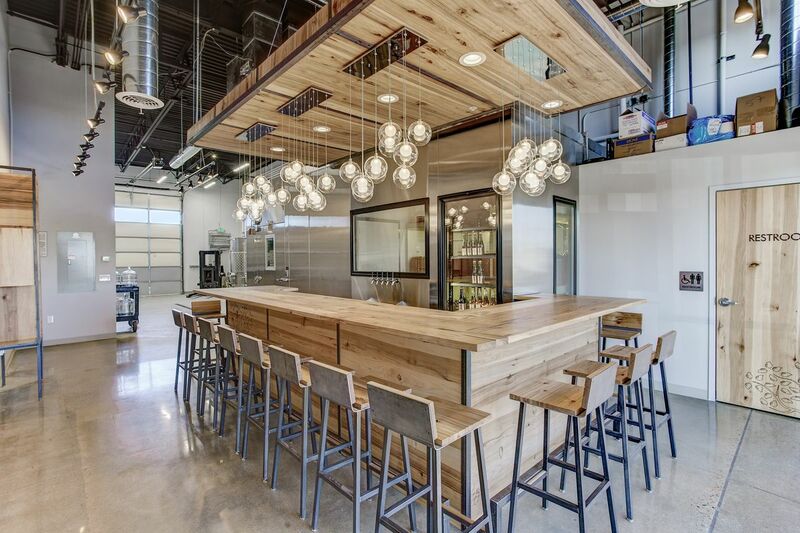 Status: Haykin Family Cider opens from 5:30 to 9 p.m. on Thursday, February 1. Initially, the tasting room will only open during these hours on Thursdays and Saturdays. Food is not sold on-site but can be brought in or delivered. Check the website for more details.